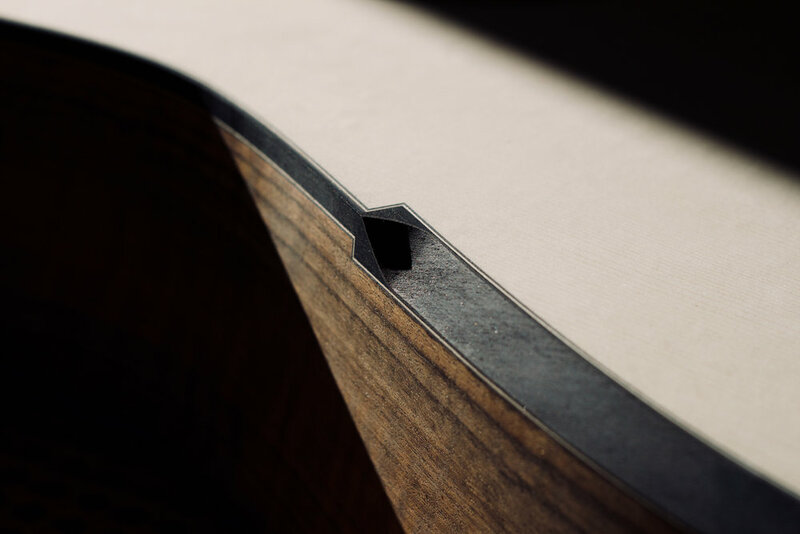 This week was focused around carefully finishing up the bevel work on the Baritone Model L. More on bevels to come in an upcoming blog post. If you’ve been living under a rock (excuse phrasing) and missed our interview with Steve Keys of Rocklite, you can now access it via a blog post and a podcast. Planing a Rocklite fingerboard for the Model L.